A while ago, we have been looking at the H format. Which I think is great : ) I really like those compact system in conjunction of a Easel or bigger 200 system, and the LEM cases. Anyway - We started prototyping some of our existing modules into the h format : ) panel files ready and some pcb layout done. We took the opportunity to revive our version of Clouds and Rings - and I am delighted about this - they fit the h format in a nicer way than our original full panel layout. 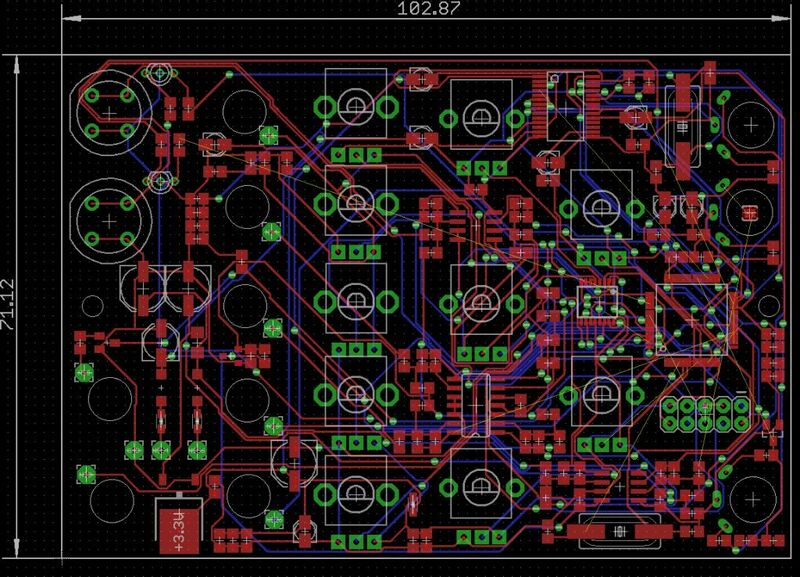 And of course, design file for PCB's and Panels will be shared, as per the licensing of those modules. Will these (the DIY ones) work on +/-15v (not sure what Buchla voltage requirements are). Time to install H Brackets..
Looks great! the DIY will be smd or possibly through hole? Like all of our modules , and the new original Buchlas, they will be 805 SMD. We do not want to bother with NOS parts, double PCB designs and cabling. MCUs like the Teensy and LEDs are the only through hole parts we use. 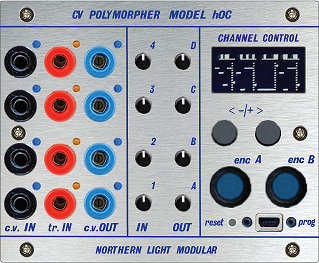 Oh, Buchla power is easy: +/-15V, and +12V, and +5V, and two separate grounds. 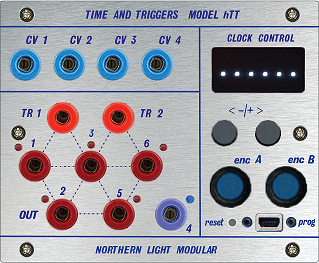 Oliviers and Max modules have been designed for Eurorack. So they run of +12/-12V and they all use the same LM1117 power converter. That chip can handle 15V as well and we are also getting +5V or +12V from the rack. We use the +12V for example in the 2TT to boost the triggers coming from the Atmel 88P chip which can only output +5V , and as we only need positive voltage, this is ideal. I also built a THC and i remember it sporting the same power converter. There must have gone something else wrong, the LM1117 , if placed on a bigger cooling surface is totally happy with the +-15V at this low load of around 100mAh. Look amazing. Will hTT and hOC accept MIDI info or other program change info via the USB input? Thx. Great idea. I love the thought of mix and matching a couple of these. Nope, the USB is for programming without the need to dismount the module as it is with the big ones as of now. And there is also no midi converter in it. Maybe one glorious day we will see a MPE/Midi/USB/Bluetooth to CV h series. We have three more in the drawing board, but those are for making actual music. Thanks so much for all of the hard work that went into these! Clouds, rings, and the o+c were all modules I wanted available in 4u, and this will save me a bunch of time. This is such good idea! I'm really going to have to learn to deal with SMT soldering though aren't I? Well, the SMT is no big deal when done with the right equipment. the cost of a proper iron. But we are aware this is a new thing for a lot of people and so we are thinking of organizing build parties. The 4U ones are a bit to big for a one day supervised build, but the h series should be fine. Very interested in these! 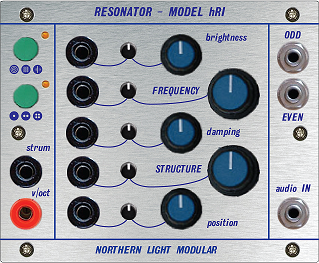 I think it's a good direction to go with these modules. my only suggestion is to ditch the "h" power connector format (which either requires an "h" compatible case or a $100 adapter) in favor of a good old EDAC. What about an EDAC cable that plugs into the h connector per default ? If someone wants to use a LEM case we just supply the h cable instead. I kind of like the new Euro like connection but i totally see the point . The idea is not to make use of the h bus add ons but use standard LDOs for the power to MCU, same one we use in the e style series. 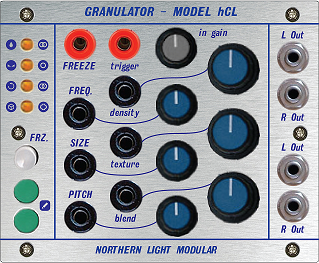 BTW - the granular/clouds has two sets of outs and no ins.